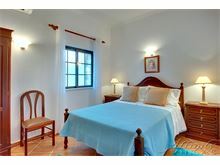 Fazenda da Serra is a renovated quinta, close to Loule, with excellent views across the countryside towards the coast. 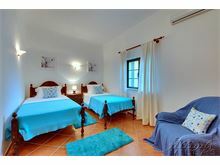 The villa has a modern kitchen and bathrooms and combines traditional style with modern facilities. The property is arranged on one level and both the kitchen and lounge area lead out on to the covered terrace which has a good sized pool and built in barbecue area. This is an ideal spot for outdoor meals whilst enjoying the views. The bustling town of Loule is minutes away by car with its wide choice of restaurants and its weekly market held early on Saturday mornings. The coastal resorts of Vale do Lobo and Vilamoura can also be reached in about 15 minutes by car, making Fazenda da Serra a good choice for those seeking a tranquil setting with plenty of places to explore nearby. 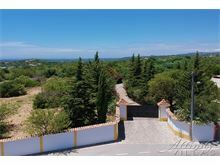 Approximately 2kms from the shops in Loule and 14kms from the beach. Driveway leads up to the front terrace, sitting/dining room with satellite TV, DVD and CD player, kitchen with dishwasher and washing machine. 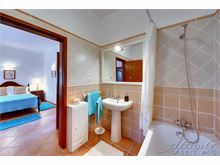 1 double bedroom with air conditioning and full bathroom en suite and walk-in shower, 2 twin bedrooms with air conditioning share a bathroom. Maid service 3 times per week. Air conditioning is available at extra cost, if required. 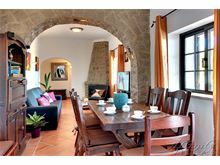 We had a fabulous 2 week holiday in this villa, it was perfect for us. The villa was lovely and the outside space & pool amazing. Will definitely visit this villa again hopefully in 2017. The villa was beautiful. The pool and outside area had everything we could want and the lovely man who came to clean the pool every was so helpful. 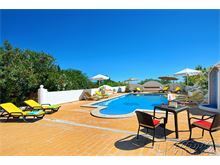 The villa was perfectly situated only 30 minutes from Faro. We had a fantastic holiday. Wow what an excellent holiday we had. 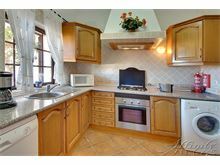 Absolutely loved the villa, perfect location, spotlessly clean, very well equipped with utilities and comforts. Brilliant service from our villa representative, he was very helpful and kind. Amazingly big pool. Really enjoyed ourselves, thank you. Will definitely be returning in the future! 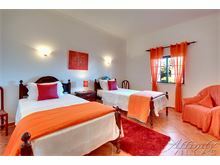 This was our 4th visit to Fazzenda de Serra, Loule and booked through Affinity Villas. 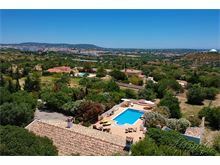 A great place well placed just outside Loule for a small family or couples looking for privacy and tranquillity with easy access to the town, restaurants, bars and of course the Saturday markets. Excellent service by maid and gardener with excellent welcome by the property manager. Thoroughly recommend this villa. Excellent holiday from start to finish. Booking process easy to complete with good advice given by Affinity Villas Staff. Good support at villa. What a fantastic villa, wonderful pool and spectacular location. Can't fault a thing. The pool man kept the outside wonderful and the house manager was lovely and so helpful, he was there just after we arrived at 8.30pm and again the night before we left. The villa was just as the photo's showed and we will be coming back again and again. We may try another villa, but we will definitely use Affinity (first rate company). Our only regret, is not finding you years ago..... see you in 2018. This is a beautiful, quiet setting, away from the hustle and bustle, but with easy access to shops and other resorts if wanted. The pool area is wonderful. This is a wonderful villa. The pool is particularly lovely and was kept impeccably clean by a really friendly chap who came early (and silently) every morning. 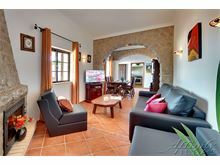 The villa is very private and quiet yet well placed for easy access to the coast. The description on the website is spot on - it's ideal if you want a quiet place but close the Algarve attractions. The House Manager and cleaner were both wonderful especially the house manager who was extremely knowledgeable and very keen to make sure that we had a good stay in Portugal. 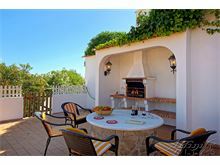 We had a lovely time here, the villa was fantastic, views are amazing and is situated a short walk away from Loule. I would highly recommend this Villa and Affinity Villas for there outstanding service to us before, during and after our holiday. It really was a delight!! Fazenda da Serra never disappoints us. 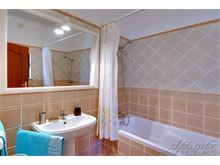 The villa is clean and beautifully kept, inside and out. 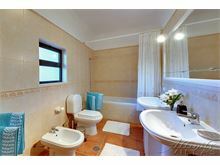 It offers complete privacy and peace and quiet. Perfect for a summer getaway, we have visited four times since 2008!